The inspiration for this theme was noticing that CREAM CHEESE and SCHMEAR share the same set of letters, and can both be clued as [Bagel topping]. So I had the idea of a bunch of pairs of entries that share both clues and letter banks, and I brainstormed for a while and came up with around a dozen pairs. (ETHAN ALLEN and NATHAN HALE was a fortuitous find — they were both mentioned within a few seconds of each other on an episode of Outlander.) The only problem is that I needed many, many more pairs to be able to make a theme that fits symmetrically, and coming up with enough by myself would have taken years, so I enlisted a friend to write some code for me — shoutout to Samir Khan for making this crossword possible. Samir generated thousands of pairs from my word list, and I combed through them to find ones that might work. Will liked my first submission, but there was one pair that didn't fit with the rest - SILENT K and TELEKINESIS, which I had clued along the lines of [Something a Jedi Knight has]. That clue involved trickery, unlike the rest, so he had me replace it. Easier said than done to find a pair that would fit in that exact spot, but eventually, I found a replacement. Anyway, I've gone on for a lot longer than I usually do, but that's because a ton of time went into this theme! 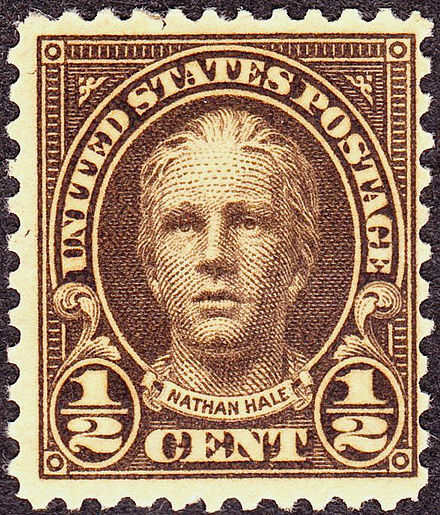 NATHAN HALE made up of the letters within ETHAN ALLEN? How cool! And ASTOUNDING made up of the letters within OUTSTANDING? These findings aren't as cool as direct anagrams – much more flexibility when you can use more or fewer instances of the letters however you want – but still, DADBLASTED made up out of the letters within DETESTABLE was pretty awesome. Not as much a fan of PISTACHIOS / POTATO CHIPS. Okay, they're both snack foods. But that's a pretty gigantic category. Certainly not as tight as "Revolutionary war heroes" or direct synonyms. CREAM CHEESE made of the letters in SCHMEAR, now that was a great way to end the puzzle. I have a bagel with CREAM CHEESE most every morning, but I've never noticed this finding. Great stuff. Also great was Will's gridwork. Working in six crossing pairs of long(ish) answers into a Sunday grid should be impossible to do without relying on an excess of crossword glue. Most constructors have to splorch on a (very) noticeable amount of glue in order to just made a standard seven-themer Sunday puzzle work. There were a couple of toughies in ARETES, RECTO, KOMBU, REUNES, but wow. To keep it to just that is amazing. Will did such a nice job in setting up his grid skeleton and using black squares to keep the themers separated. I highlighted the themers below, so you can better see how careful his spacing was. Such intricate nesting! My only knock: an overreliance on +preposition phrases. WERE ON, RODE ON, LURES IN, WADE IN, BENT ON … talk about ADD ONS! Generally, these are fine entries, but the glut grated on my sensibilities. If only a few of those slots had been used for things like APTEST, COBALT, TOP TEN, etc. At first, I wasn't as impressed as I wanted to be, given that these were something less than direct anagrams. But I liked how the concept opened up room for direct synonyms and tight pairs like NATHAN HALE and ETHAN ALLEN – something that direct anagrams won't usually allow. Along with the strong gridwork, this would have been a POW! pick, if some of the pairs hadn't felt too loosey-goosey. Answer summary: 4 unique to this puzzle, 5 unique to Shortz Era but used previously. The grid uses 24 of 26 letters, missing QZ. Average word length: 5.29, Scrabble score: 606, Scrabble average: 1.64. Puzzle has 5 fill-in-the-blank clues and 6 cross-reference clues. This puzzle has 4 unique answer words.